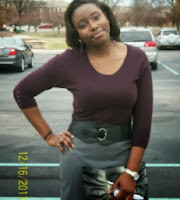 Adaobi Michaella (the girl pictured above) 26 year old was found on Tuesday Nov. 19th at an apartment at Riverstone Apartments in Columbus, Indiana. Her death is being investigated as a homicide. A spokesman for the Columbus Police Department said her neighbour, 36 year old Ryan Allen Klug, is a person of interest in the case. Ryan also lived in the apartment complex but has gone missing since Adaobi's body was found. The Columbus Police have not revealed how and why Adaobi was killed but they're currently seeking the public’s help in locating Ryan Klug. Adaobi was the first of two children and was already pursuing her PHD in Electrical Engineering at just 26 years old. So sad May her soul rest in perfect peace .Amen.